We inform our readers – young professionals, founders, and students – about the latest career and business-related tips, trends and opportunities from around the world. We strive to become a leading source for young people when it comes down to searching for exciting international events, study programs, career opportunities as well as accelerating a career and starting a business. Our team is driven by the mission to help young professionals find life-changing business and career opportunities they are looking for. How do we do that? Here’s what our CEO, Arthur Gopak, has to say on this. Whether you are looking for the latest market trends, tech innovations, upcoming networking events or funding opportunities to grow your venture, our content is designed to be practical. We designed a unique method to create content that serves our readers. We apply the latest approaches in content marketing and data science to produce the most relevant content, making AlphaGamma most relevant media company for business professionals, young and senior, starters and veterans. Why do we call ourselves a business portal for young professionals? We believe that youth is about the mindset and less about the year mentioned in your passport. We want to be the platform that inspires action and gives hope to everyone who wants to accelerate their careers, discover promising opportunities and improve their lives. 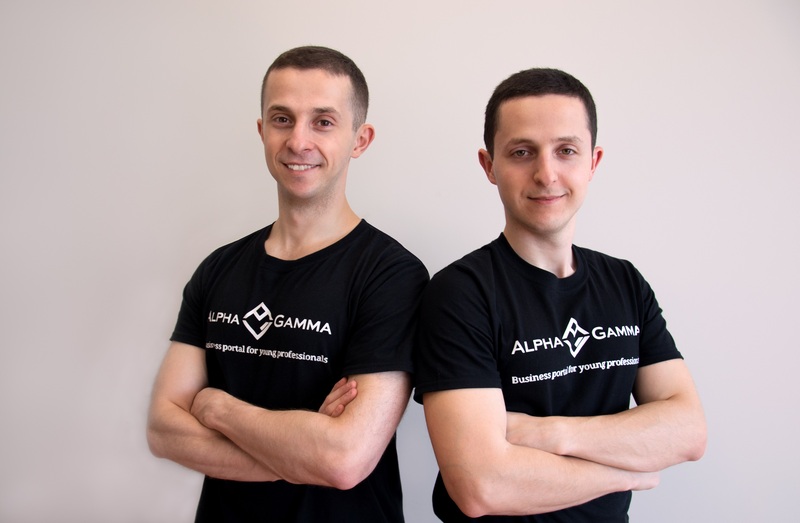 AlphaGamma was founded by two brothers – Arthur Gopak and Eric Gopak – and the company is headquartered in Amsterdam, the Netherlands. The company reaches over 1.5M people from around the globe every month and has partners such as The United Nations, Rice University and AIG. AlphaGamma has been named by Capgemini Consulting as “one of the Top 20 Dutch start-ups to watch” and Halbe & Koenraads mentioned AlphaGamma as “one of the key network partners of the Dutch start-up ecosystem”. Join our free weekly newsletters and become a part of our growing community and follow us on social media. Make sure to share opportunities that you find interesting with your friends, and consider joining our Global Ambassador Programme. We welcome a diversity of backgrounds and opinions. Our writers and contributors come from diverse backgrounds and express different points of view on business and career-related topics that matter. You can apply to become an influencer on our platform by filling in this form. Need help with reaching out to young talents? If you represent a university looking for new highly qualified students, an event trying to get more attendees or an innovation hub or corporate accelerator scouting for promising start-ups, we understand your pain. Contact us via the services form and our team will get back to you shortly. For all other inquiries, get in touch with us via our contact page or shoot us an email at info@alphagamma.eu.